Then sit at their desk. You want it? 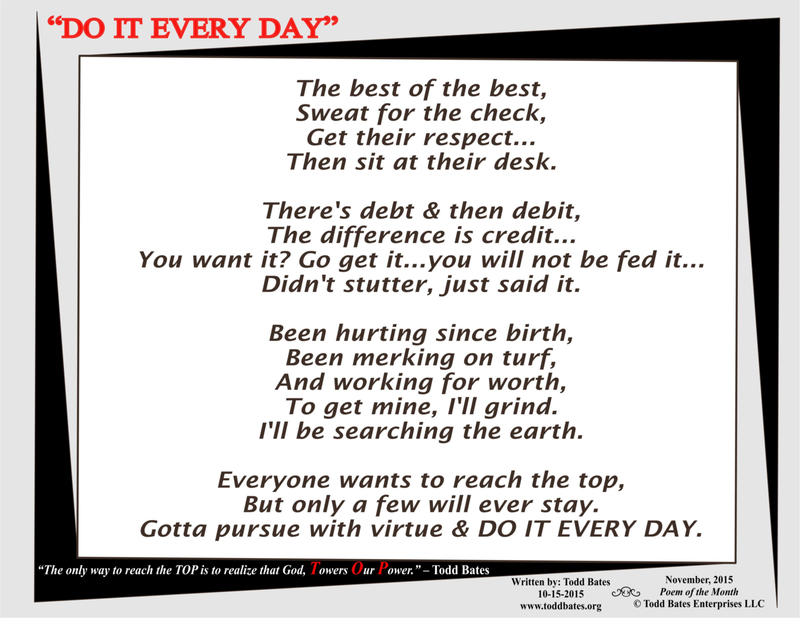 Go get it…you will not be fed it… didn’t stutter, just said it. To get mine, I’ll grind and I’ll be searching the earth. Everyone wants to reach the top, but only a few will ever stay. 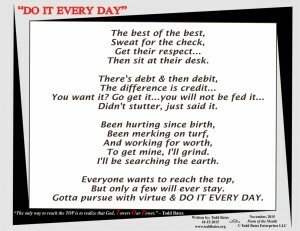 Gotta pursue with virtue & DO IT EVERY DAY. Good stuff my friend .. am up early today (as usual), being “fed” by God’s amazing hand, emotionally, spiritually, mentally, and to the degree that a 62 year old artist can be … physically. I think I’m being prepared for some type of writing project (??) .. a book, a collection of short stories, a blog with photos, or maybe a biography of some type (??). All I know at this point is that it’s happening at the perfect time. Your work has helped propel and motivate me. For that, I just wanted to say “thanks”!! Keep it up brother … and know you are making a positive impact. Peace….